Flat Belts are used by customers in diverse applications including ATMs, bill validators, business machines, power tools, copiers and more. 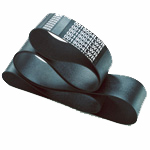 These Belts are manufactured from Silicone, EPDM, Urethane, Chloroprene, Hypalon, natural rubber or polyurethane. 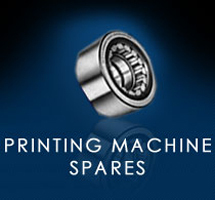 They do not have fabric reinforcement and are most often used on fixed center drives. This have many advantages over reinforced flat belts, including fast turnaround samples with minimal tooling expense, reduced system cost by eliminating the need for expensive tensioning systems, antistatic constructions to reduced static build up, as well as long life constructions. These Belts are manufactured from Chloroprene rubber and are normally reinforced with light duty woven polyester fabrics. These flat belts also are used on fixed center drives. These Belts are manufactured from polyurethane elastomers reinforced with various types of yarn including, Kevlar, polyester and glass. This style of flat belt is also normally used on adjustable center drives fitted with tensioning mechanisms. These Belts are manufactured from Chloroprene & Silicone rubber and are reinforced with various types of woven fabric including glass, Kevlar, nylon, polyester, cotton, Nomex and polyester/cotton blend. These flat belts are normally used on adjustable center drives fitted with tensioning mechanisms.